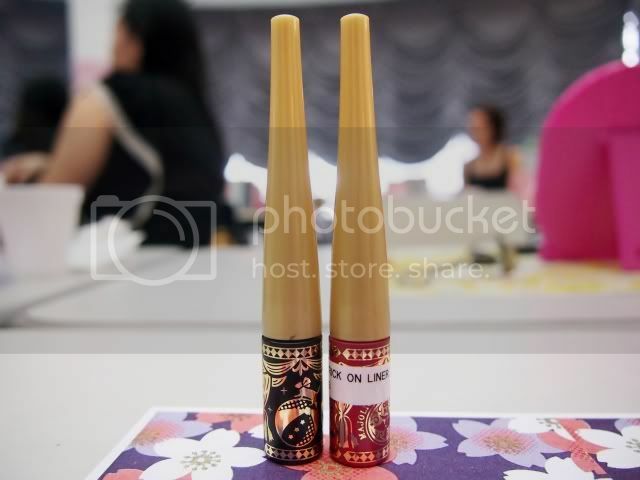 As if time just zoomed pass, the last post i blogged about was way back more than a year ago! I did log in once in a while and wanted to blog a post, but i don’t know where to start with. I’m also really surprised that there are still visitors to my blog everyday and even returning visitors. Whoever you are, thank you from the bottom of my heart! And guess which is my most “popular” post? It’s the post regarding My Hair Loss Problem! Seems like many people are experiencing hair loss huh! Just a little update on my hair loss, i have stopped going to Bee Choo Herbal Hair Treatment since last year. Not because it has lost it’s effect, but i feel my hair loss is at a cope-able level now. Now when i run through my hair, no hair drop anymore! Just a quick update of my life recently, many things happened within the past 1 year, but i am much more looking forward to the upcoming months – important milestones such as keys collection to our BTO flat at the end of the month (yes! it’s completed after a long 3+ years wait!) and our wedding at the end of the year! Have been busy preparing for our wedding for the past 3 months – sourcing for venue, bridal and services, photoshoot and more, every thing was a great experience and i would love to post them up so i can refer back for memories as well as to provide you guys some useful tips which we learnt along the way. I’ll definitely be back to blog more frequently on our wedding and renovation progress, promise! 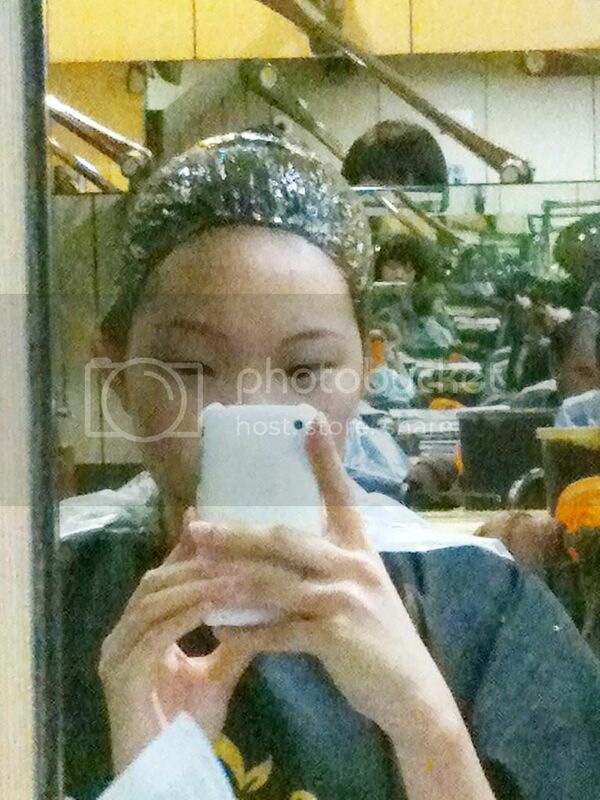 This entry was posted in Beauty, Home, Reflections and tagged Bee Choo, BTO, HDB, onefamlee, Wedding. Ok, I just bought a new set of makeup – not because i have finished them but because of a heavy downpour. I was having lunch with Love at Clementi and suddenly it came a heavy downpour, so heavy that the drainage system could not handle and caused the areas around to be flooded. I was stucked in the building, sheltering from the rain, unable to walk out to the bus stop to take a bus back to office. After waiting for the rain to subside, i walked to the taxi stand and saw long queues, cab hotlines were all engaged. I’m already running late for work and by the time i reached office, i think i will be late for at least an hour! Then i decided, since i brought my necessities (handphone & wallet) along with me, i shall just apply for an urgent half day leave, leave my belongings in the office and just continue to wait for a transport to bring me home and get ready to depart the next day to Malaysia for Chinese New Year. Since my makeup pouch is in the bag at office, i have to purchase a new set to bring along to Malaysia, so that’s the story of why i bought a new makeup set. Heard good reviews about this, tried the tester in Watsons, it’s blends well easily and gives quite a heavy coverage, i like! 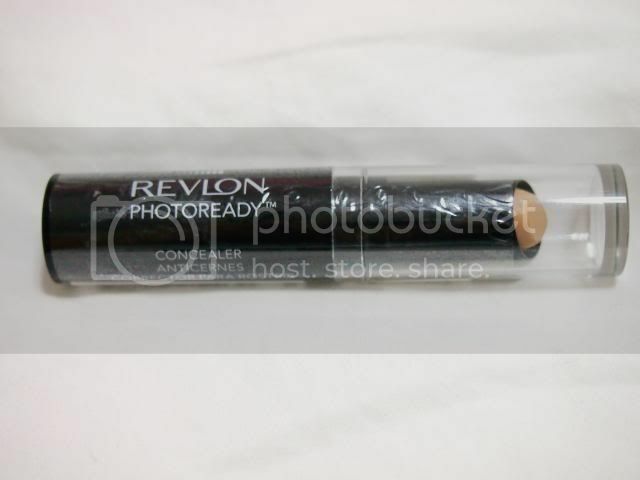 Update: This has successfully replaced my favorite M.A.C concealer, at cheaper price too! 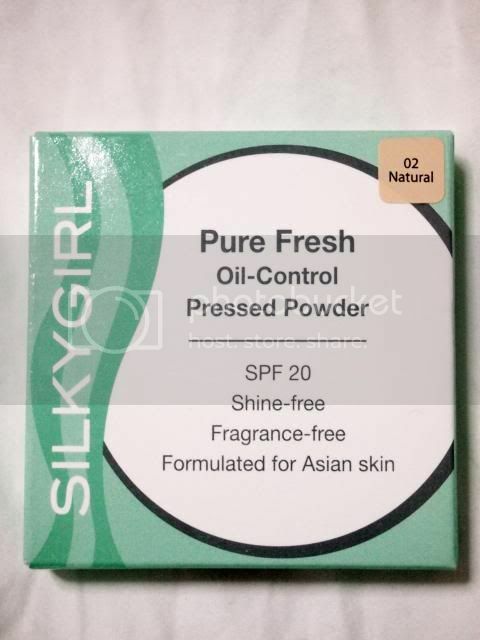 Because i have just bought the powder foundation previously, so i thought of trying out pressed powder which has oil-control. Update: As i recall, I think it doesn’t really controls oil as much and I’ve stopped using it. 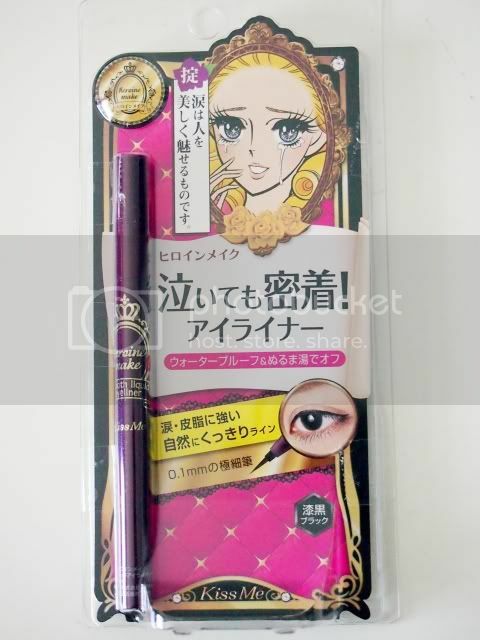 Somehow this eyeliner feels the same as the Kiss Me Eyeliner with an ultra thin and smooth brush. 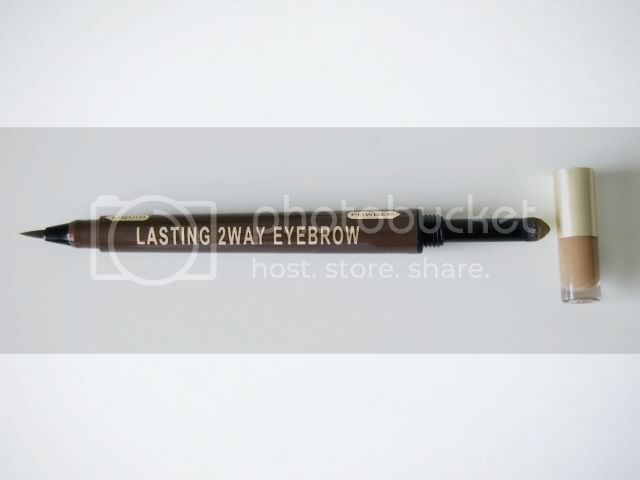 Update: This has become my favorite eyebrow pencil! The shade is just right and it doesn’t gives a “hard” shading. Bought it because it was one of the cheapest blusher and i used it before, but it doesn’t stay long though. 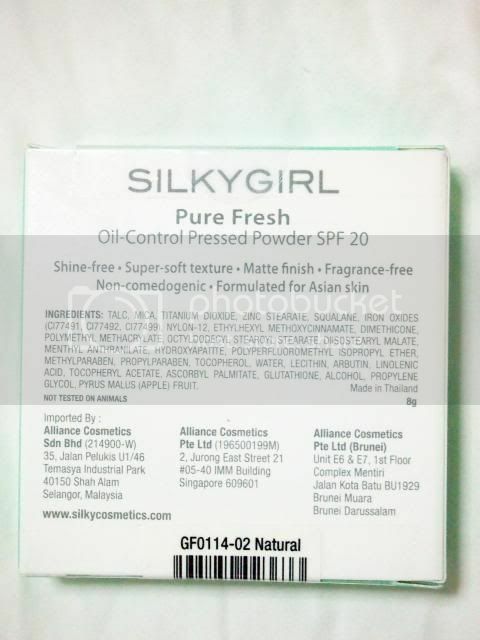 This entry was posted in Beauty and tagged Beauty, Blusher, Concealer, Eyebrow Liner, Eyeliner, Foundation, K-Palette, Pressed Powder, Product Review, Silkygirl, Watsons. 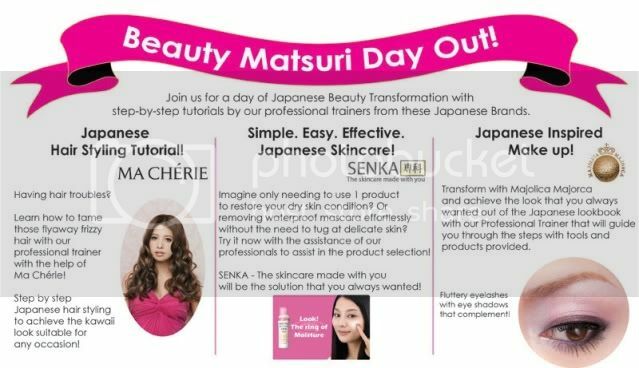 My first time attending free beauty workshop and this was exclusively for Watsons Members by Shiseido. 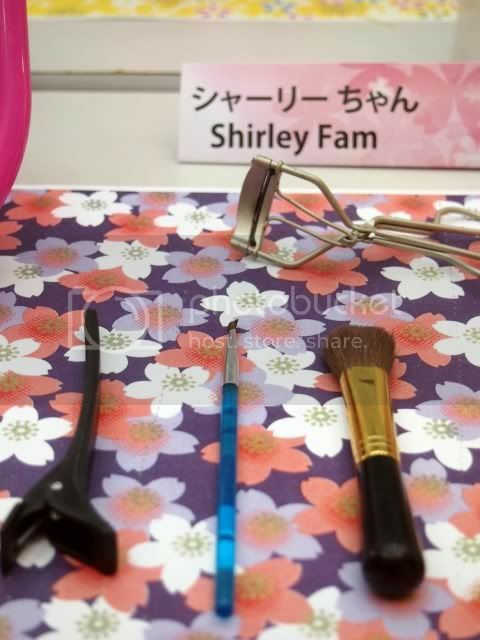 The peeps at Shiseido are so sweet to print personalized name cards with our name in Japanese! Each of us have a small beauty station to ourselves provided with the needed beauty tools. How the whole workshop place looks like. 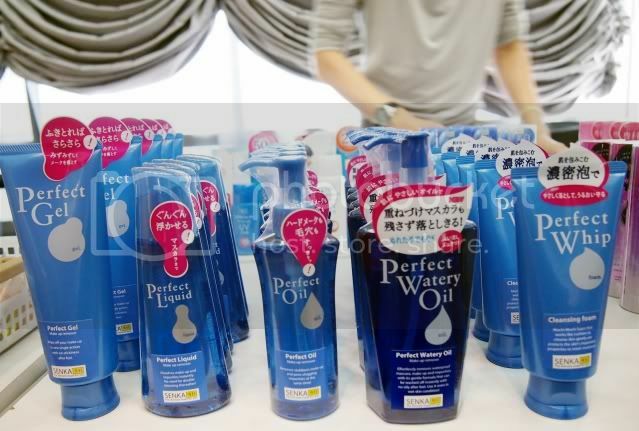 The workshop started off introducing their latest range of skincare product – Senka, with their different types of make up remover, moisturizer, sunscreen etc (teaching us what kind of skin suits which kind of product). The most stunning part was that we have to remove all our make up with the products ON THE SPOT! We weren’t told beforehand signing up for this workshop so it came as a surprise for us. Nevertheless, most of us did cooperate by removing our make up.. imagine our bare face looking at each other, so strange. 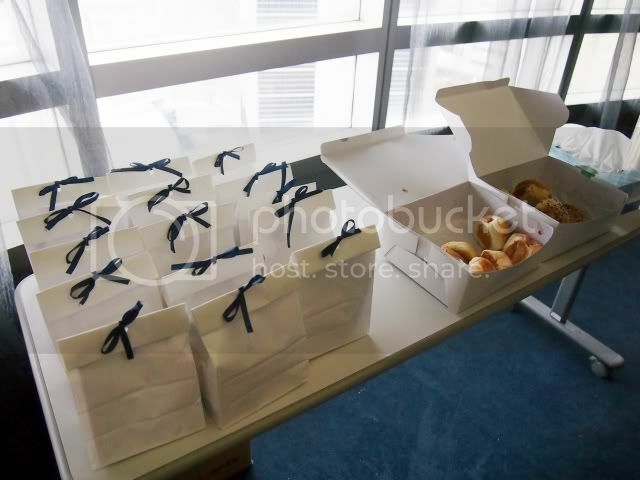 Light refreshments were provided, luckily because i have not eaten for the whole day and feeling really famished. 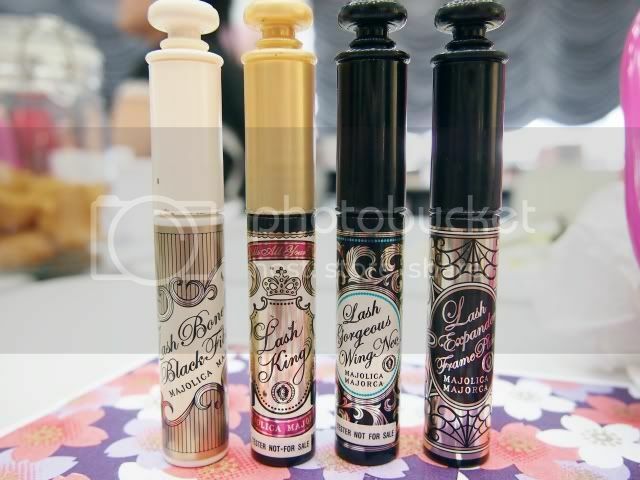 After refreshments, we were introduced to their make up range – Majolica Majorca latest series Chapter 35 – Circus Esctacy which i often read about on other bloggers raving about it. Skin Lingerie pore cover which is a make up base with light coverage that conceals pores. 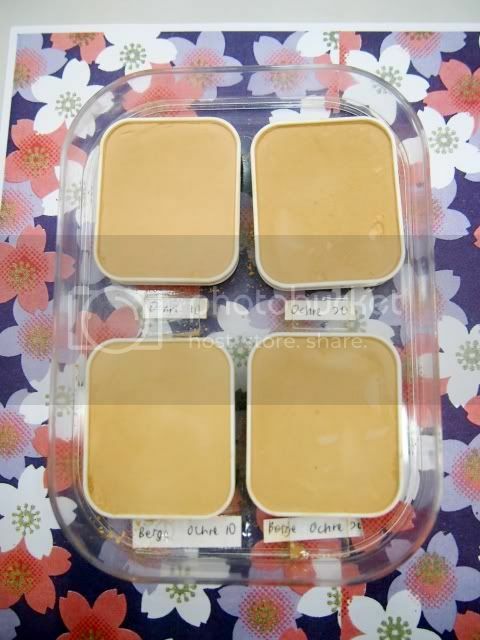 We chose a shade that best suits our skin color tone, i think i’m more suitable for Beige Orchre 10. Nail lacquer? 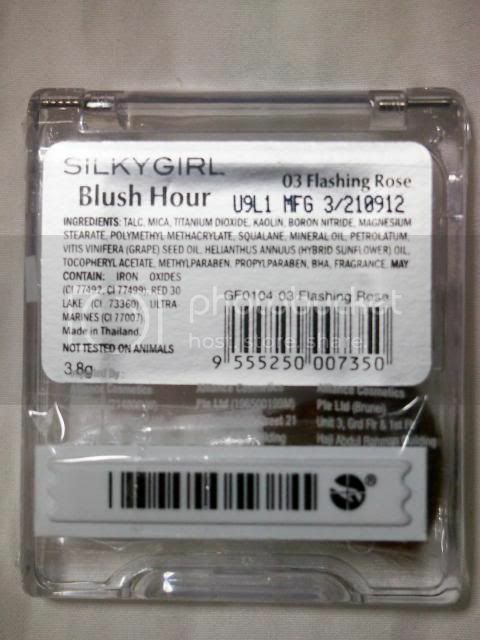 Nope, it’s a gel type blusher with gloss – Cream de Cheek. 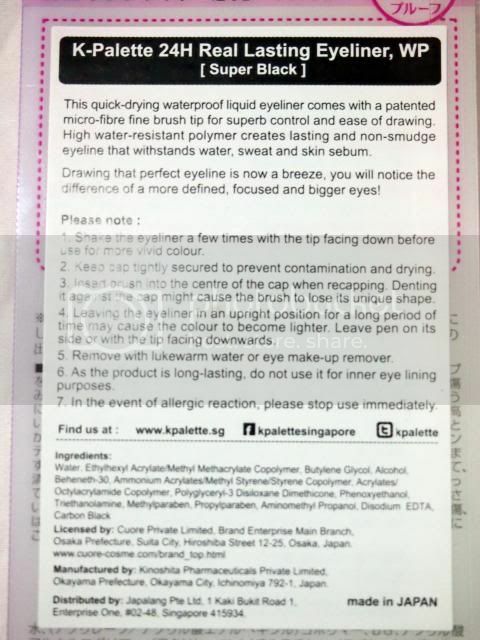 With its gel and watery texture, it can be applied before and after powdering. Some of the participants applied a tad too much and the cheeks were really red and they managed to blend down the color with the foundation powder. I would say that the colors are pretty matching to our Asian skin tone, just need more practice to get the right amount applied. Liquid eyeliner in black and red. Red eyeliner is the first time i have heard of and probably we are not really used to it, we think it looks like we’ve got something growing on our eyelids or something. 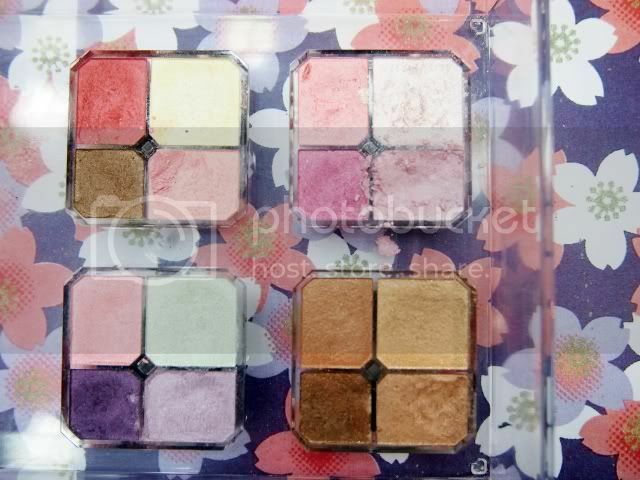 Eyeshadows, the powders were really fine which glides on our eyelids smoothly. Liquid & Pencil Eyeliner, i still prefer liquid ones. 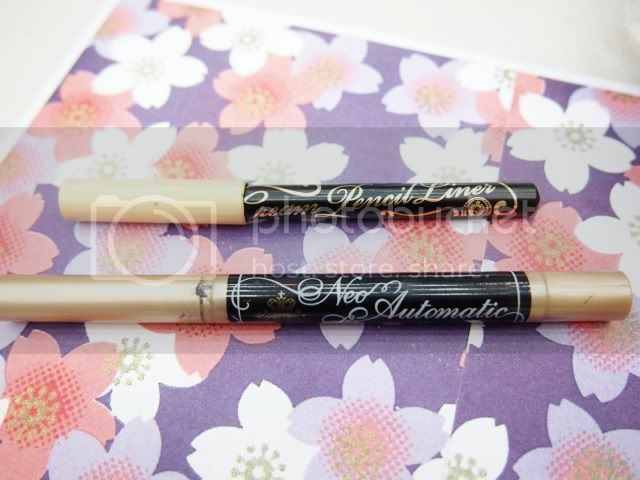 This one has a thick black pigmentation, easy to glide on and stays on even till the end of the day without smudges. I forgot what is this, there are too many products introduced and to try on till me and the participants at my table were confused. LOL! Even eye lashes alone have 4 different types of products, how not confused can we get? 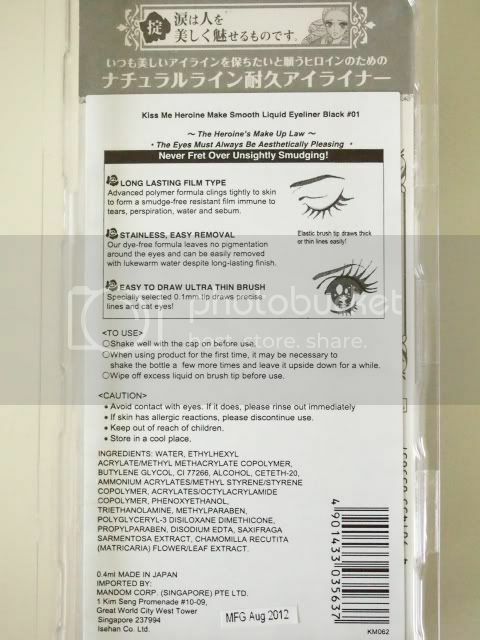 Lash king is highly recommended by the Shisedo peeps which is water-proof, sweat-proof and tear-proof. 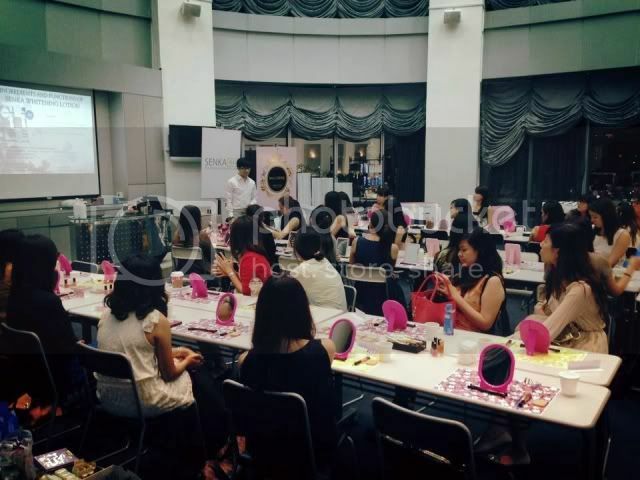 After the make up session, the last session is the hair styling tutorial – Ma Cherie products. 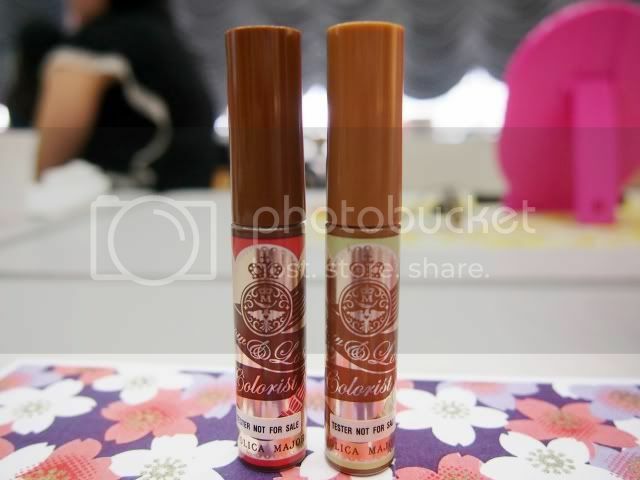 All Ma Cherie products smells really sweet and fragrant! All products introduced were on sale with an exclusive discount to us. I was in a rush and therefore did not bought much. Just bought 3 bottles of Perfect Gel, which i find it works amazing removing my make up. Even my eyeliner was removed thoroughly and the best part of this no washing required which means during days when I’m really tired, i can just use this and get to bed as soon as possible! All participants were given some goodies to bring home but i guess i’ll give it away instead, so if you are interested in trying out the products in photo above, leave a comment! This beauty workshop has been an interesting event and i hope to attend more of such to try out the products before i commit into buying them! 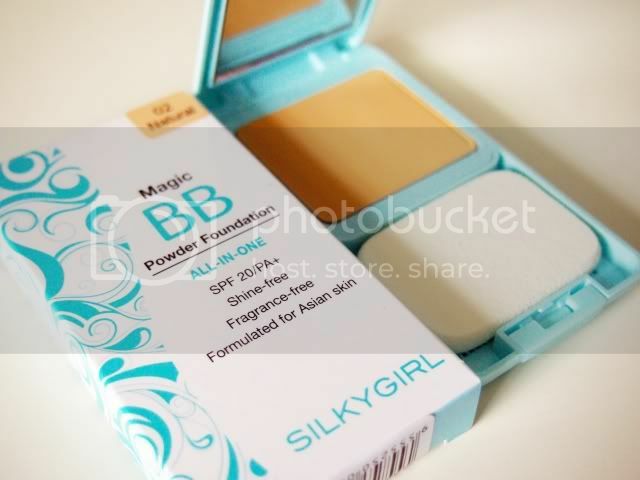 This entry was posted in Beauty and tagged Beauty, Blusher, Eyeliner, Foundation, Majolica Majorca, Makeup Remover, Product Review, Senka, Shiseido, Watsons. Here comes the cycle again. Whenever my foundation is used up, i always have the tendency to purchase a different brand to try out. 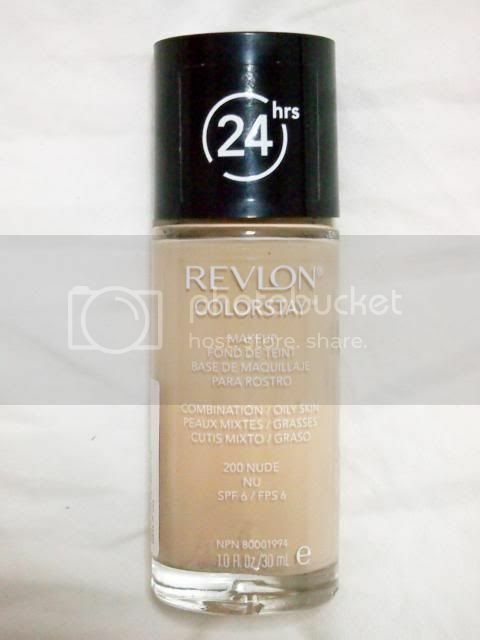 You can say that probably i have not found my favorite foundation yet or, i would say, even if i found it, the cycle still continues because i have the “you don’t try, you won’t know if it’s better that your favorite” thinking. Who’s with me?! Well, that thinking usually burns a big hole on my pocket because almost 90% of the products i used usually ends up either at my colleague’s or dustbins. I did research online and made up my mind to get Make Up Forever’s Duo Mat Powder Foundation. However, when i reached Sephora, the salesperson tried the foundation on my face and had it compared against her recommended Laura Mercier’s Tinted Moisturizer Creme Compact. 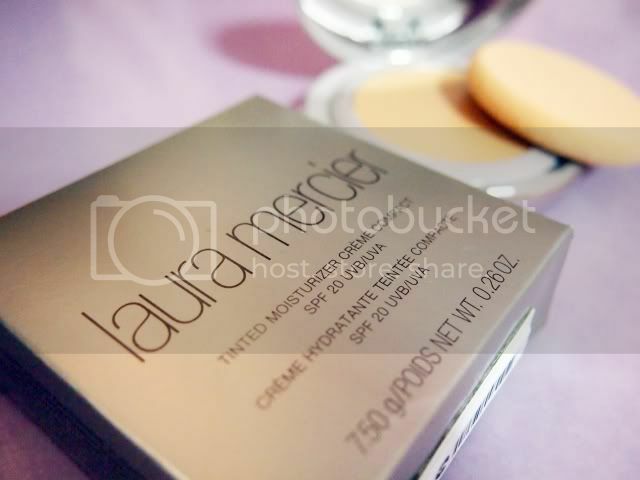 Make Up Forever’s made my face look more powdery while Laura Mercier’s seems porcelain. Being skeptical, I emphasized to the salesperson that a good oil control foundation as my face gets really oily through the day and she assured me that Laura Mercier’s is able to fulfill it, and the next moment, i’m sold. Tried on the next day to work and it took me more than my usual time to get the make up done because the coverage is really sheer plus it gives the creamy sticky feeling. Now instead of looking less powdery, my face looks oily, forget talking about it’s oil control throughout the day. 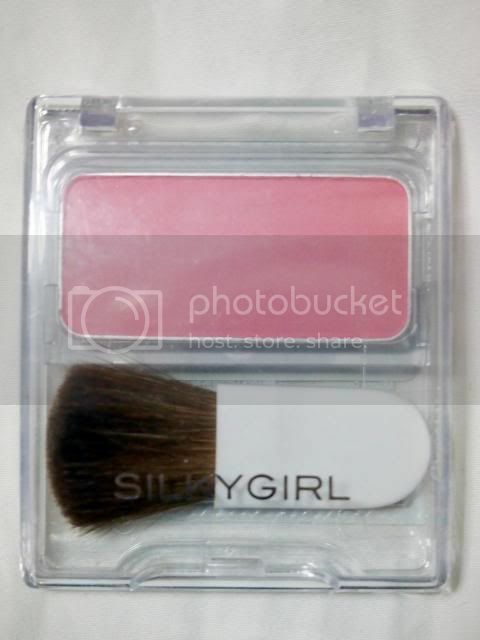 I went to get Silkygirl’s foundation ($17.90 – $4 off due to promotion = $13.90) because it’s one of the cheapest around and there’s a Cleo readers voted most popular tag. I can say that at least it can control oil somewhat, better than Laura Mercier’s, coverage is also thicker. However, the powder is not fine enough, but i shall make do with it till it’s finished and I’ll look for other alternatives. 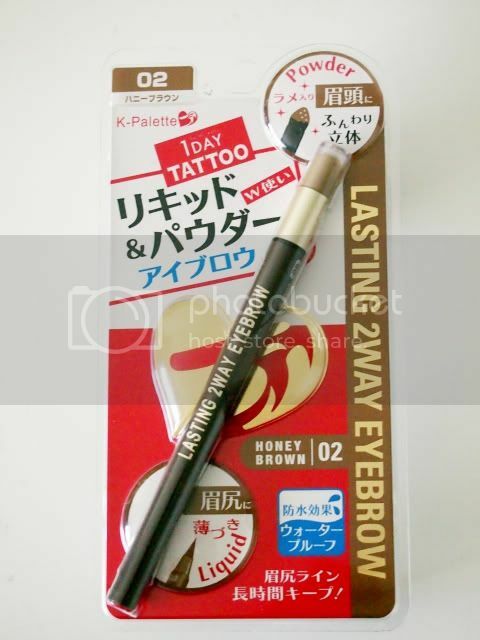 Bought K-Palette’s 24H real lasting 2-way eyebrow liner ($23.90), also another voted most popular by Cleo readers, so i decided to give it a try. 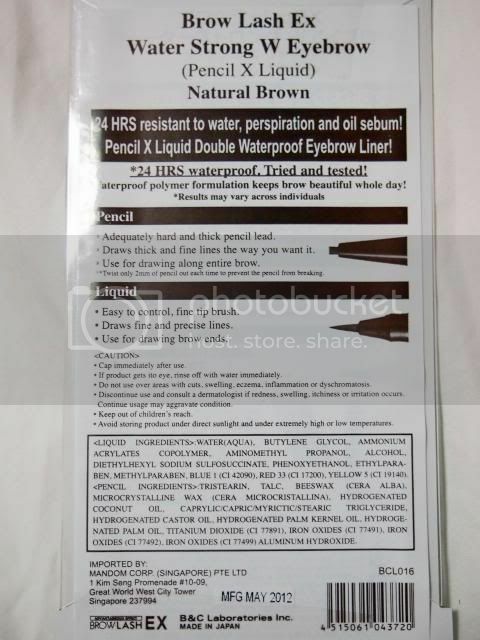 Seriously, I’m not too sure if i used the product in a correct way, so what i did was to use the liquid liner to fill up the sparse areas of the eyebrow and the powder tip to even out the whole eyebrow, at the same time drawing the eyebrow to shape. Here’s after use of the eyebrow liner (left) compared to (right) without. I’ve heard quite a few bloggers recommending this Kiss Me Eyeliner ($18.90), so i decided to try it out. The best about this eyeliner is smudge-proof! 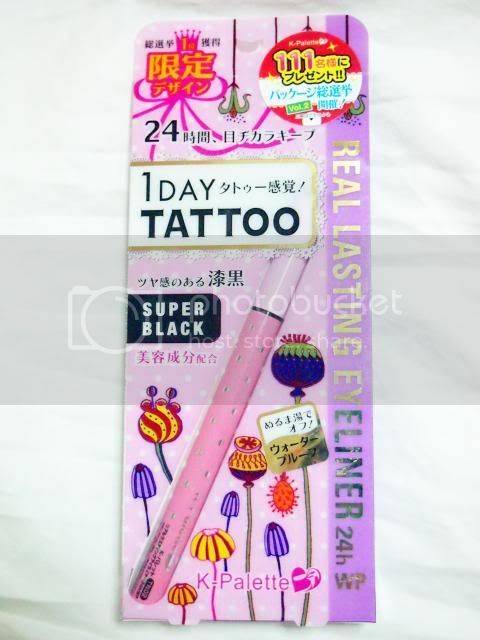 Previous eyeliners i used, by the end of the day, i would spot black pigmentation around the eyes which sometimes looks like i have heavy dark circles, which is so unsightly. 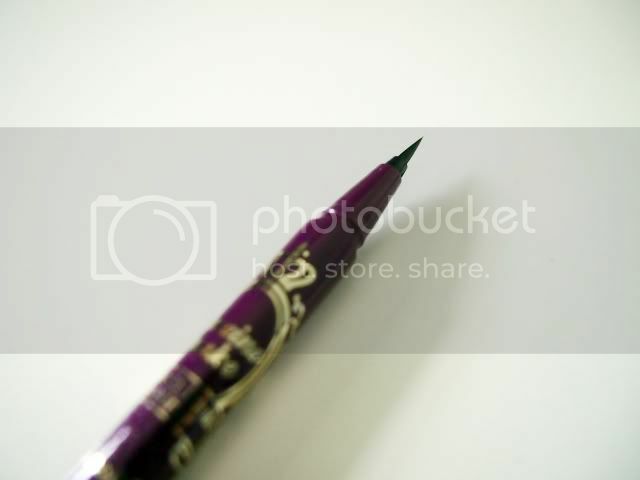 For this eyeliner, i have no such worries and do not need to look in the mirror often afraid of smudging. Still, there’s a con, the ink fades off faster. Sometimes i have to redraw the eyeliner to fill up the faded areas. 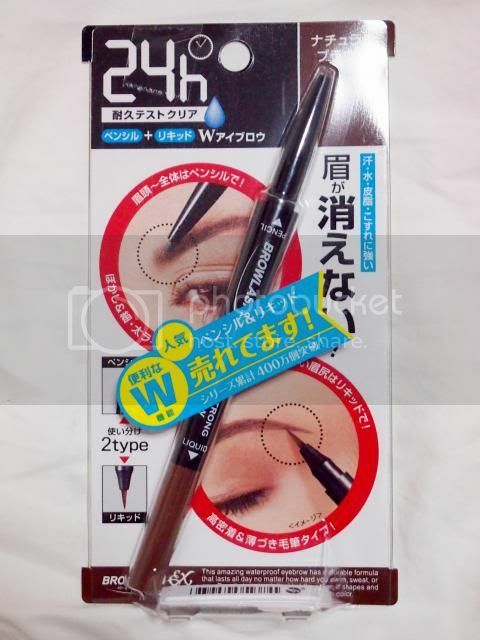 For those who love ultra thin eyeliner, this may be your choice, it’s really thin to draw very precise lines. 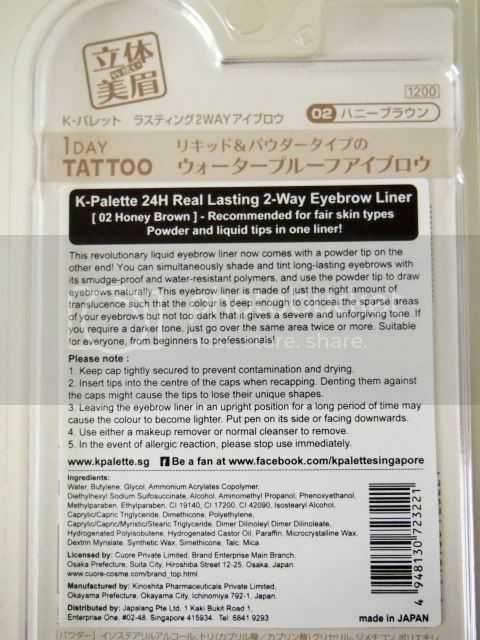 This entry was posted in Beauty and tagged Beauty, Eyebrow Liner, Eyeliner, Foundation, K-Palette, Kiss Me Heroine Make, Make Up Forever, Product Review, Silkygirl, Watsons. Not sure exactly since when, but it was in recent months, that i realized that my hair fall amount is getting significant. My hair volume isn’t much to begin with and that explains why it’s getting scarier when each time i run my hand through my hair, there’s bound to be a few strands of hair and sometimes it’s more than 5 strands?! Not sure if i’m paranoid, but it wasn’t like this before. Not that i noticed of. I thought probably because my hair was getting longer, so the heavy weight might explain the hair fall, so i chopped off my hair to shoulder length. But nope, the hair fall still continues. It didn’t help that the hair scalp was itchy with bumps that seems like pimples with pus AND my face complexion was horrible during that period, so Love gets to hear my low self confidence complaints each time i looked into the mirror or strands of hair fall. 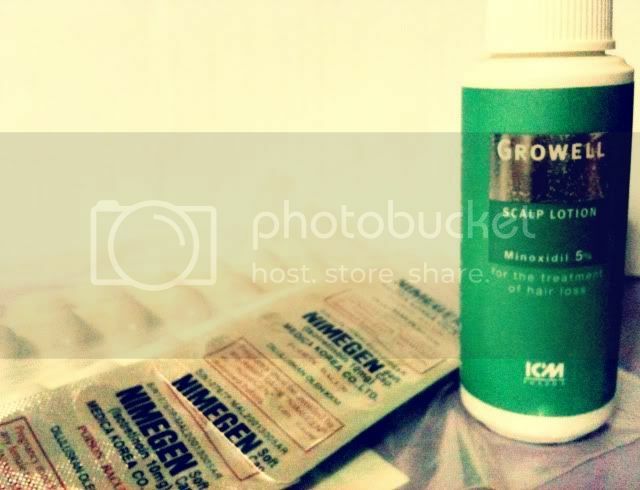 I tried one of the clinic at National Skin Centre for both my acne and hair loss problem, the doctor just told me that i’m facing “female pattern hair loss”, gave me a Growell Minoxidil 5% spray for the hair and Nimegen capsules (3 months supply) for my face acne. That one session of consultation cost me $330! Goodness, worse is when i tried googling “Nimegen”, it seems like there quite alot of potential side effects. Love persuaded me not to consume the Nimegen and recommended me to a clinic where he got his acne problem solved during his teenage years. That clinic works! The doctor even told me that my condition does not need to consume any medication. Well, i shall leave that for another blog post. Back to my hair, i did tried out the Minoxidil for a week or two, but it seems like my scalp is still as itchy, so i stopped using it. Sounds like my $330 has gone to a waste, sigh. Went to a few salons for hair cut and some hairdresser recommended scalp treatment to better improve the condition of my oily hair, preventing hair loss. 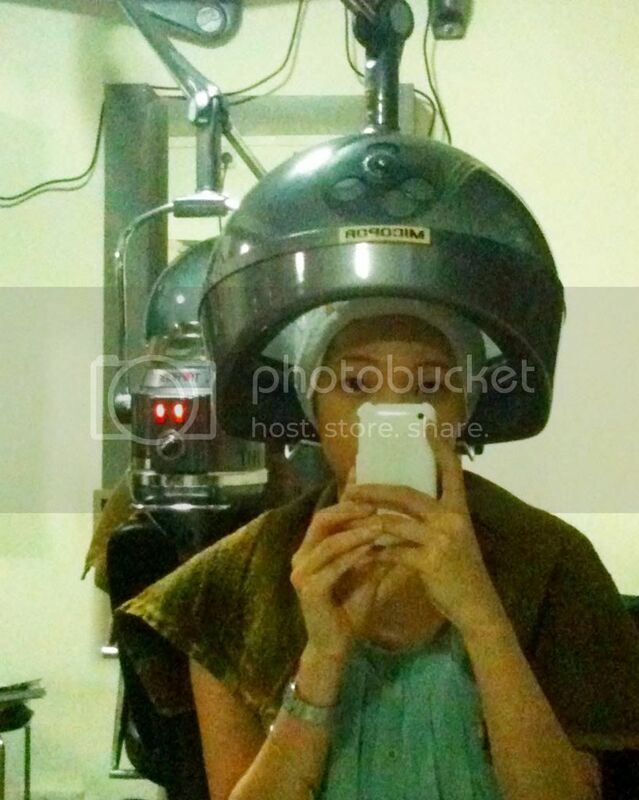 I didn’t try it out at the hair salons because a scalp treatment usually cost hundreds and it needs to be done at least monthly to see the results. I thought that’s too high of a maintenance for me plus chemicals are used, so i’m not sure if it would do any harm in the long run. I searched online for solutions, tried changing different hair fall shampoo and conditioner but none worked as well. 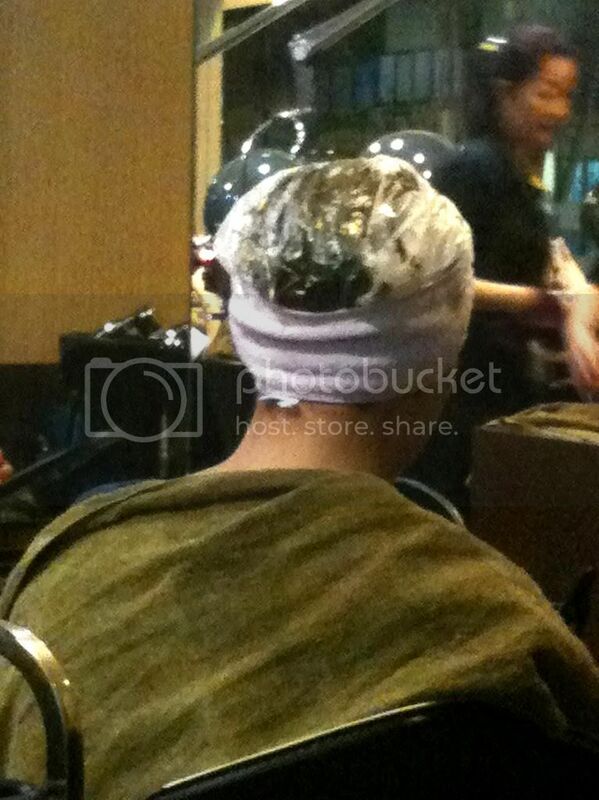 I was glad that i chance upon “herbal hair treatment” while googling. Herbal stuffs interest me, because it’s natural and not chemical (call me old fashion thinking), i would prefer Traditional Chinese Medicine more than Western Medicine anytime. I decided to give Bee Choo Herbal Hair Treatment a try since they have quite a few branches and Clementi branch is near to my work place, so i can head there after work. Upon entering, greeted by all the staffs, i saw all the steaming machines were occupied. “Wow, it must be good since there’s so many people” i thought. If you are not used to, perhaps the herbal smell is a little overpowering, it gets better or literately no smell upon subsequent visits when you’re used to it. By the way, most of their customers “have an age”, so you won’t really get to see much youngsters like me. LOL! Make payment first and take a number, they serve base on first come first serve, so they recognize by the number tag. 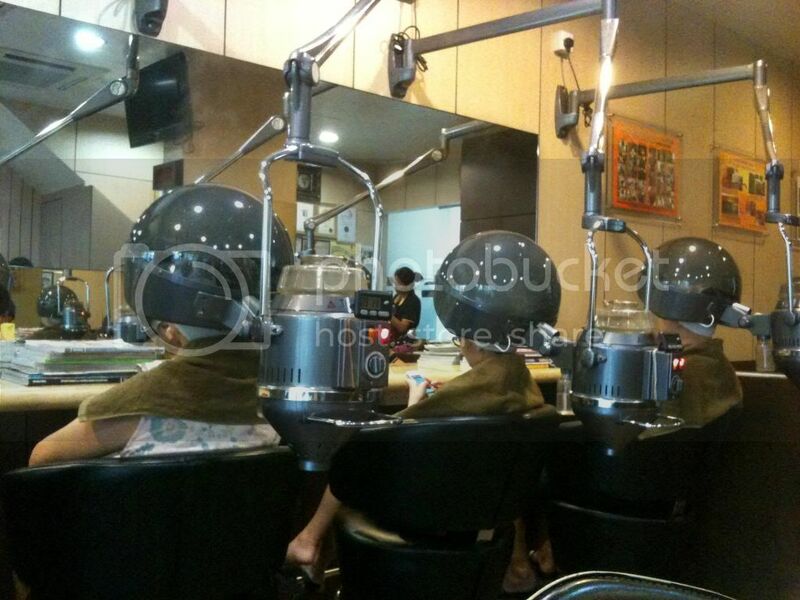 If it’s your first time, the staff will explain to you in detail the steps and what they are applying on your hair. Hair tonic (ginger wine) will be first applied on your scalp to stimulate and open up pores during steaming in order to remove any impurities on the scalp and for the herbal ingredient to be absorbed. Then, 100% pure virgin olive oil on your hair ends before steaming to ease out split ends, improve hair condition and shine texture. Here’s where the important part comes – 100% chemical free Chinese Herbal Treatment will be applied directly onto the scalp and hair ends. They apply in very generous portion on the hair, it feels so worth it. Look at my hair, totally covered with the herbs. LOL! Then steaming for half an hour(? ), didn’t track the time, but it’s quite long, so remember to bring some entertainment or read the magazines provided. I was even more surprised when they directed me upstairs for steaming, two more rows of people were upstairs having their heads steamed. LOL! In total till now, i have went for 4 treatment for a period of two months and i’m pretty satisfied. My scalp does not itch as much, lesser bumps and lesser hair fall (still have, but lesser). Now i can run my hand through my hair, no dropped hair strands, or even so, it’s just one or two strands. I’ll just keep going once every two weeks for maintenance since it’s really affordable as well, $40 for shoulder length hair, plus minus a few dollars depending on your hair length. PS: Quick update on my Bee Choo progress. 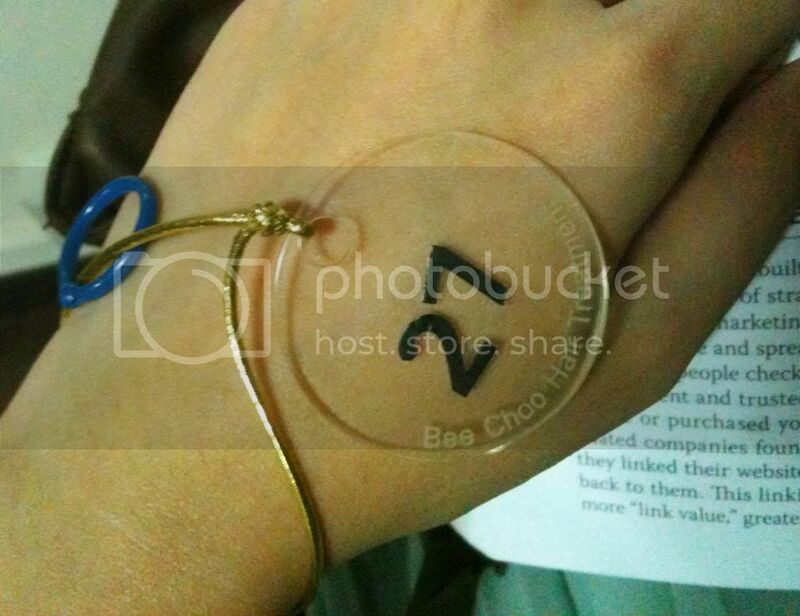 This entry was posted in Beauty and tagged Bee Choo.